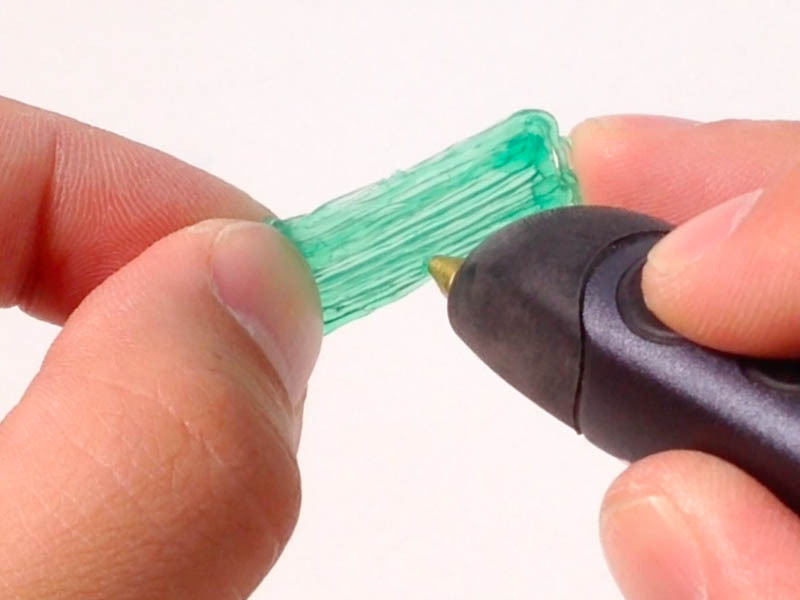 Pushing or pulling the 3Doodler across your work makes a big difference. Like painting, you get different results in the final texture. When pulling, the plastic flows out behind the pen, leaving a smooth stroke; when pushing, the tip of the pen carves into the newly extruded plastic, leaving it pushed out on the sides with a trough through the middle. Experiment and see for yourself!